Fiesta night is always a fave in my household, but it is so hard to make complicated marinades from scratch when I’m short on time (or just plain forget to plan ahead). That is why I like to speed up the marinade time and keep it simple with this marinating hack that cuts the typical 1 hour marinating time down to just a minute (seriously!). This one minute marinade is a total game changer. 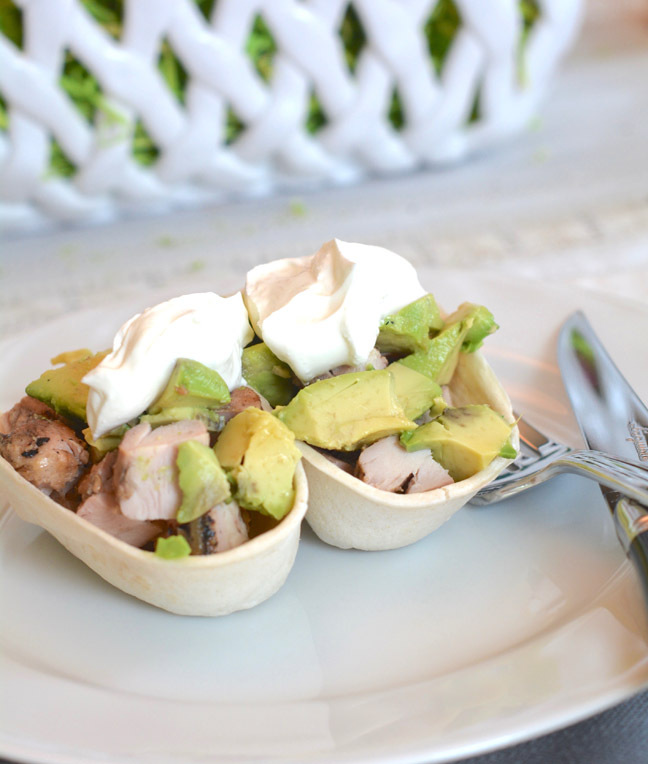 These lime chicken tacos come together in minutes and feature my kids’ favorite Mexican flavors. Step 2: Place the chicken tenders, lime juice, olive oil, garlic, salt, and pepper in a shallow dish and microwave it for 1 minute. This will help the chicken absorb the flavor and speed up the marinade time. Then, place the pan in the oven and bake for about 15 minutes, or until the chicken is cooked through. Step 3: Once the chicken has cooled completely, cut it into bite size pieces. Then cut the avocado into similar size pieces. 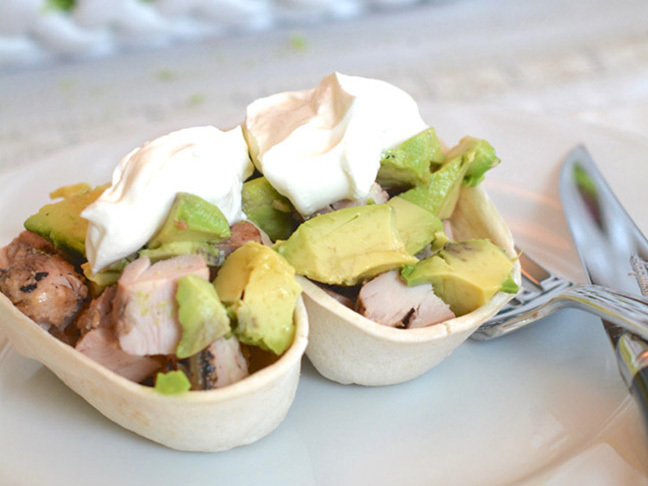 Step 4: Add equal amounts of the chicken and avocado to the mini taco boats. Step 5: Top each one with a tablespoon of sour cream and serve.